Creating the perfect eyelid contour with makeup is tricky in the best of circumstances. If you have hooded eyelids—the natural crease in your upper lids is hidden when you open your eyes—the challenge is even greater. Naturally hooded lids are a beautiful trait (famous hooded ladies include Emma Stone, Blake Lively, and Jennifer Lawrence), but they don’t fit the mold of traditional eye makeup methods, which are designed for a well-defined crease. Some women also experience age-related skin sagging, and once-open eyes gradually become hooded, rendering their tried-and-true makeup techniques obsolete. Naturally hooded lids are a beautiful trait—try a few of these makeup tips to play them up and get a look that captivates. If you’re frustrated that by-the-book eye makeup application just doesn’t look right, read these 7 makeup tips for hooded eyelids. If you’re doubtfully rolling your (hooded) eyes, you’ll be pleasantly surprised to learn that just a few easy changes can make a huge difference. For instance, did you know that simply swapping out dark eyeshadow for a lighter shade and applying just above the crease can help make hooded eyes look bigger? And that focusing your mascara on the center lashes is an easy trick to create a rounder, more open eye shape? We hope the makeup tips in the article help you get an eyelid look you love! There’s nothing like stepping out with confidence. Makeup tips can help you bring out the beauty in your natural eyelid contour, but if you’re simply unhappy with having hooded lids, or if sagging eyelid skin is causing you to look tired and/or obstructing your vision, you may wish to consider changing your eyelid contours. Upper eyelid lift surgery is a long-lasting solution that can be tailored to achieve the amount of change you wish to see—anywhere from a subtle touch-up to a substantial lift is possible. In the hands of an experienced, qualified cosmetic surgeon, eyelid surgery is a relatively short outpatient procedure that requires only a week or two of downtime. Best of all, the results last for years and can make a huge difference in how confident you feel about your eyes—with or without makeup on! Another option is laser eyelid rejuvenation. By remodeling collagen and/or removing outer layers of dull, damaged skin, an expertly performed laser treatment can firm and smooth the upper and lower lids to reduce mild sagging and diminish fine lines. On its own, laser eyelid rejuvenation can help makeup go on more smoothly and postpone the need for surgery. When combined with eyelid lift surgery, laser treatments can enhance the results without additional recovery time. If you are interested in making lasting cosmetic improvements to any aspect of your appearance, we encourage you to get in touch with us. Our cosmetic surgeons are very experienced in upper & lower eyelid lifts and also offer non-surgical options for looking your best. 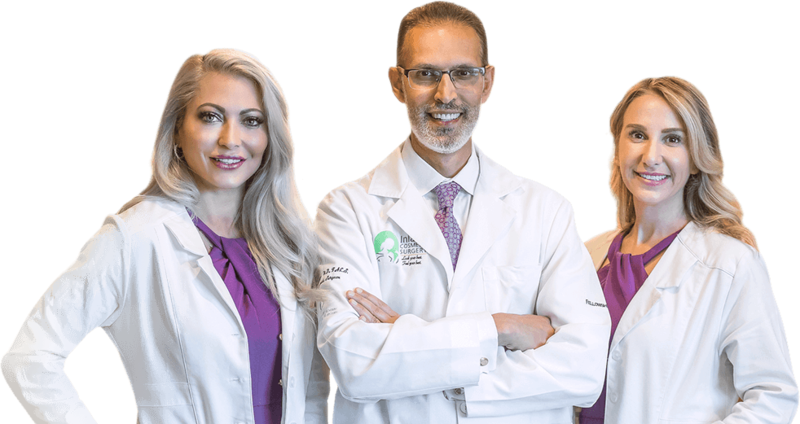 Contact us online or call 909-987-0899 to schedule your complimentary initial consultation with Dr. Haiavy, Dr. Tower or Dr. Florin. We will be happy to discuss your options for refreshing your look.